While still in the early stages of development, the last Friday of March marked the first official meeting of the Community Garden Network of Brevard (CGNB), a new organization meant to unite local community gardens across the county under a common cause of collaboration, education, joint outreach, resource sharing, and sustainability awareness. 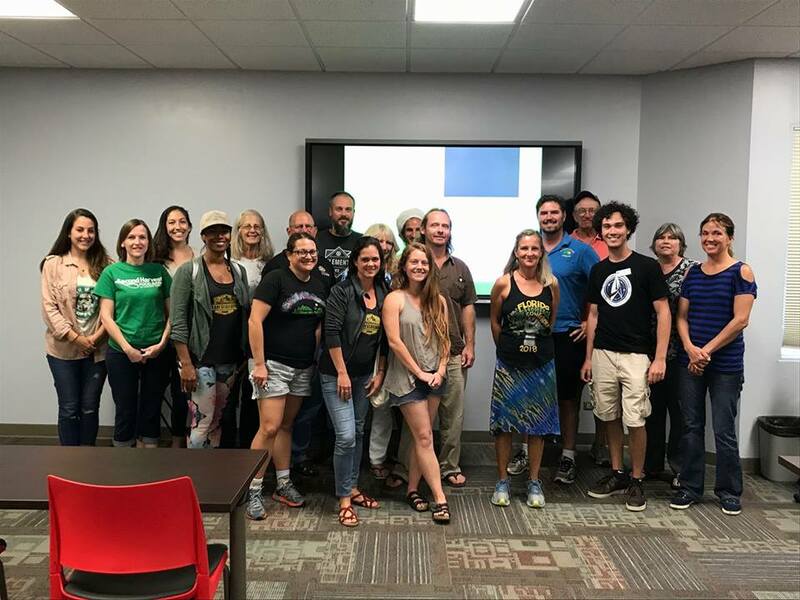 The meeting was hosted by the Florida Tech Evans Library and headed by the Residence Life Sustainability Committee president and vice president Zachary Eichholz and Alexis Miller; who are each pursing a master’s degree in Interdisciplinary Sciences. The idea behind such a network, the idea of which has been successfully implemented in other US cities, counties, and states, came about during the development of Florida Tech’s own Ethos Community Garden, which is located in the Residence Quad. The idea of some kind of collaborative network began to look even more feasible when the Ethos Community Garden gained two additional sister gardens in the form of Pathos and Logos, found in Cocoa Beach and Satellite Beach respectively. After a few weeks of outreach, Eichholz and Miller managed to arrange the first ever network meeting, hosting representatives from thirteen different local organizations, cities, and gardens that included Cape Canaveral, the Verdi EcoSchool, Rockwell Colins, the City of Satellite Beach Sustainability Board, and Florida Tech’s own Community Garden Club. Moving forward, Eichholz and Miller hope the network will usher in a new era of resiliency and community for Brevard County.